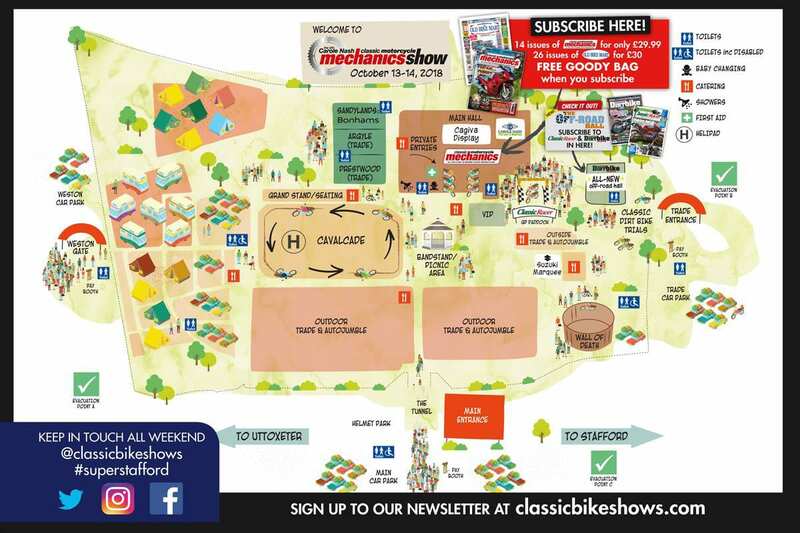 The Moto Guzzi Club extend a special invitation to RealClassic readers to visit their lair on the balcony above the main hall, stand B106, to view their display of ‘ridden not hidden’ machines of the marque. 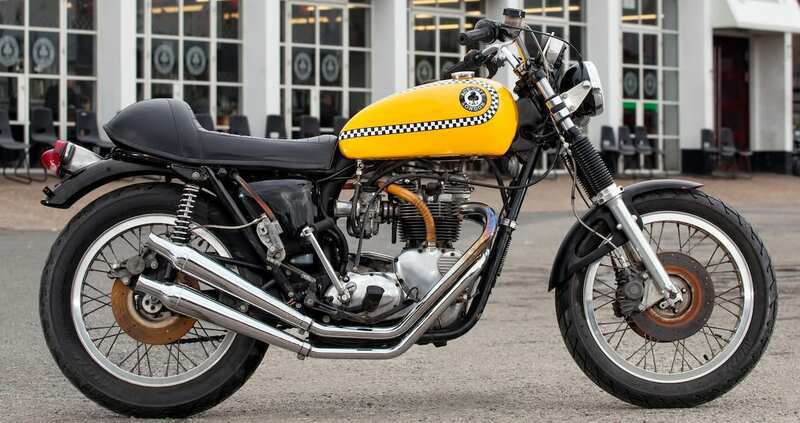 These range from hard-working commuter classics to tourers and race bikes, so expect to see plenty of high mileage V-twins while you sup a brew and discuss discounted club membership. Suzuki Superstars: iconic road and race Suzuki motorcycles will be grouped together in their own marquee, alongside displays from the Katana, Old Skool, GT/X7 and Air-Cooled Suzuki clubs. Look out for the 1989 RGV500 as ridden by Kevin Schwantz, and the bike he rode to take top honours in the 1993 Grand Prix. Robinsons Foundry and Suzuki Performance Spares will provide a spare parts service, while the Suzuki Owners’ Club welcomes new members. 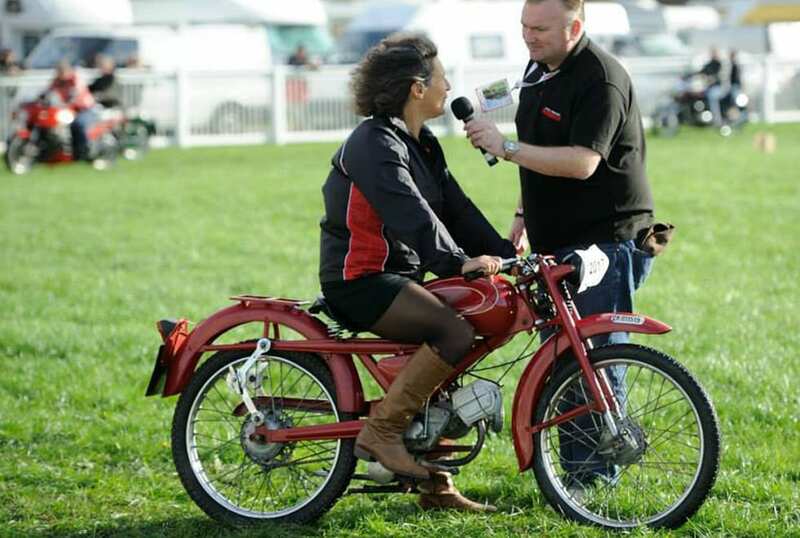 Classic Cavalcade: everyone likes to see old bikes in action, so the main outdoor show ring will be filled at midday on both days with private entrants and club members’ machines being revved up and ridden around. 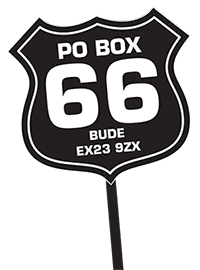 Expect the proud owners to share some interesting snippets about their bike’s history and the pitfalls of its restoration. Not one, but two Triumph Silver Jubilee limited edition 750 Bonnevilles. 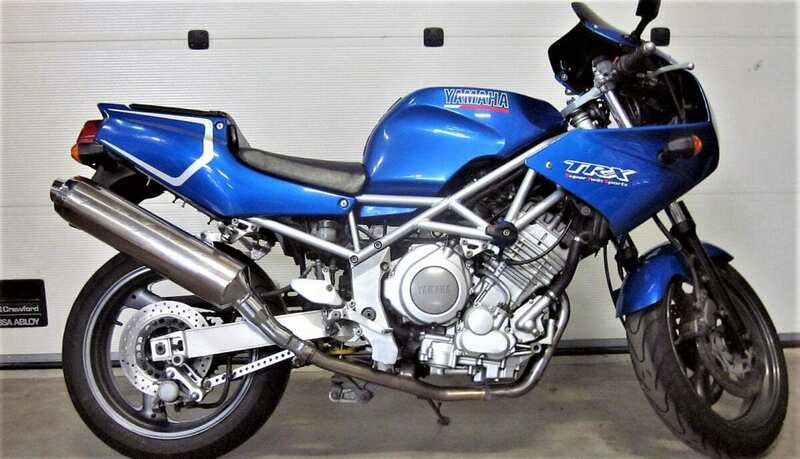 The first has no reserve price and is estimated to sell for around £6000 (but its engine number isn’t visible). The other one hasn’t been registered and has travelled less than a dozen miles, so might go for as much as ten grand. A couple of cracking classic Japanese sportbikes, both by Yamaha. Does Sir prefer one lump or two? 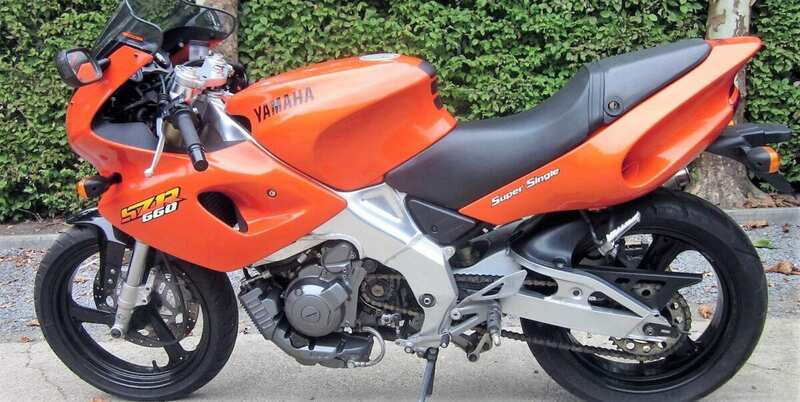 For the single-minded we have a 3000-miles SZR660 which puts out around 50bhp and weighs a mere 160kg. If twins are your thing, how about a TRX850 which weighs 40kg more but has an extra 30bhp to boot? Both Yams are expected to fetch around £2000 to £2500. Back with classic Britbikes, there are a couple of Beesa sidevalves in this sale but we like the looks of this lovely old long-stroke slogger, a Norton Big4. it comes from the Continent with NOVA docs; sale estimate around £4000. Also a little out of the ordinary, how about an Ariel Huntmaster instead of the ubiquitous BSA A10? (Not that we have anything against BSAs, you understand, we just like standing out from the crowd). 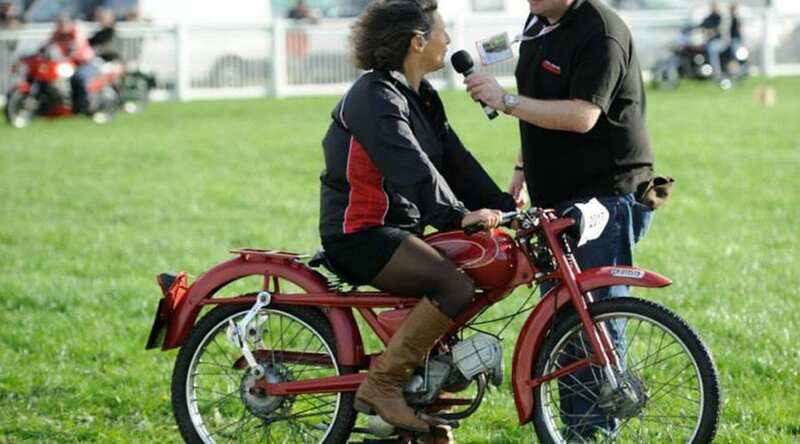 This 1954 650 twin has been off the road since 2011 and is expected to sell for around £4k. The new owner may want to fit a new centrestand. Or buy a back brace. For the truly adventurous, how about this trio of turbos? All have been stored for some time and are offered with no reserve. 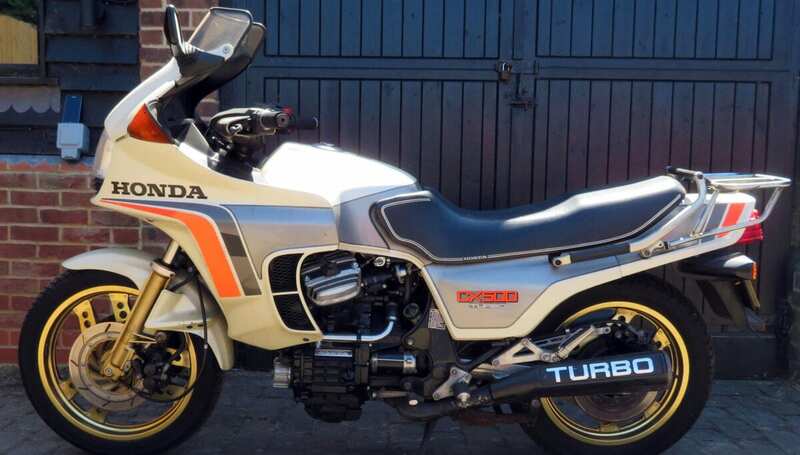 Any prospective purchaser had better budget for a full engine rebuild before firing up those motors… The 1982 Honda CX500 has covered 15k miles, sale estimate £2000. The 1984 Suzuki XN85 (it’s not an 850 of course, but 673cc instead) has done 2300 miles and is expected to sell for around £5000. 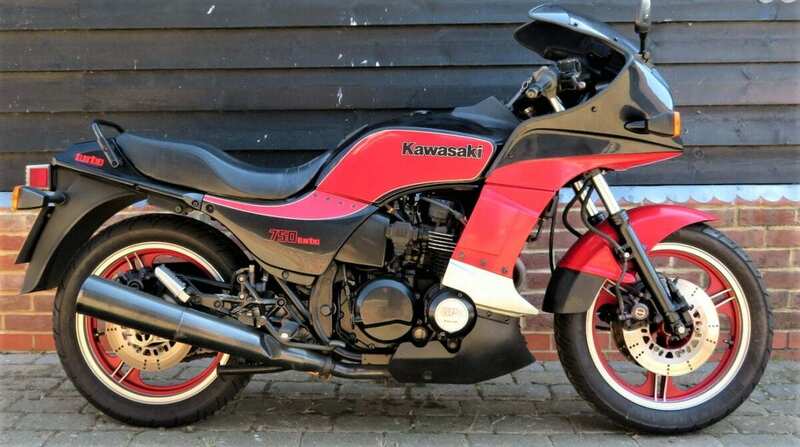 The best of the bunch is of course the 1983 Kawasaki 750 Turbo; auction estimate c£4k. If you actually want to experience the arm-stretching eyeball-bending experience of a true sports turbo, then the Kwak is most likely to reward your efforts with a mind-bending blast on an open road. Just remember to watch the horizon (rapidly rushing towards you) and don’t become mesmerised by the bewitching boost gauge! 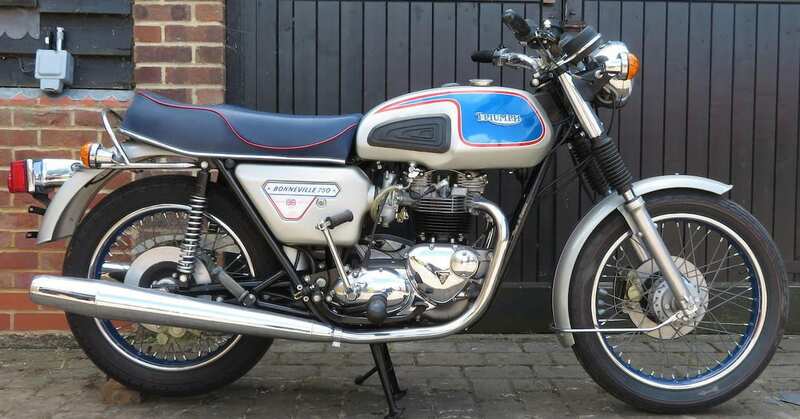 We’ll also be intrigued to see what this Triumph T140 flat-tracker special sell for. Part of Mark Wilsmore’s collection (he of the Ace Café), it was built quite a while back and incorporates AP Lockheed racing calipers on twin front discs, Norman Hyde oil cooler, Micron fork brace, etc. it hasn’t been MoT’d since 2007; estimate £3500. 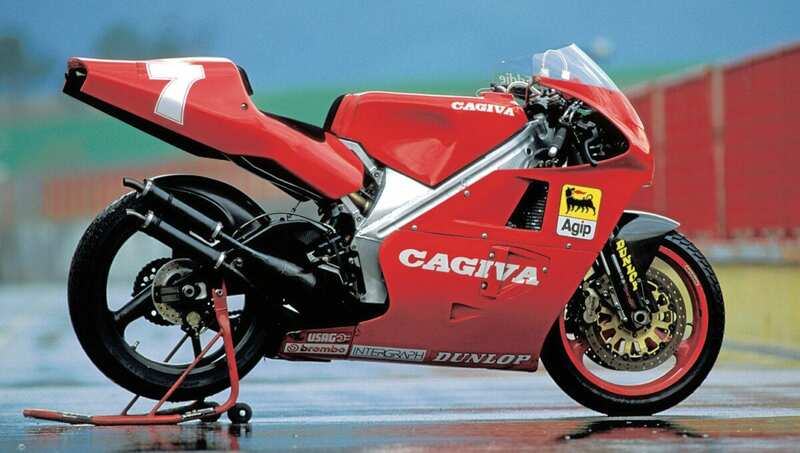 Cagiva Competition Showcase: look out for an awesome array of red racers, including Grand Prix winners ridden by Eddie Lawson and John Kocinski. 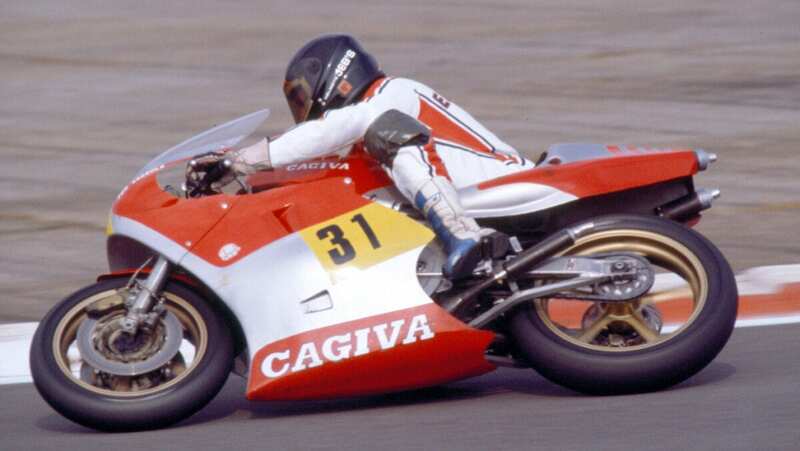 There will be 11 genuine Cagiva factory racebikes, the largest number to be displayed together in one place in the firm’s 40 year history. Guest of Honour Terry Rymer will be interviewed live on stage in the main hall at noon both days, and will take part in the fire-up session in the GP Paddock at 2.30pm (providing the weather isn’t too awful). We’re looking forward to some tall tales from the two-time world endurance champion and superbike racer.